Would you ever think you might see a snowy owl in the southeastern United States? Why are you unlikely to find salamanders in dry environments? Below are some ideas to engage middle and high school students in STEM as they learn about species diversity and the environments in which they live. These enrichments accompany Activity 6, Picture This! found in Project Learning Tree’s PreK-8 Environmental Education Activity Guide. Be sure to check out the full lesson! Essential Question: Why do some organisms live in many environments while others can only be found in very unique places? 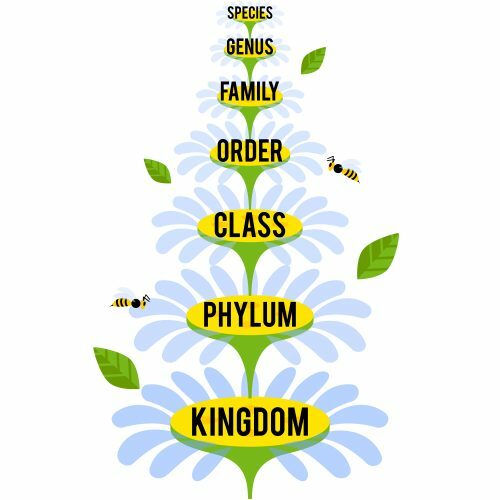 Identify the frequently occurring plant and animal species in your area and describe the environmental conditions they require to survive and thrive. Estimate the population growth for a specific species, Homo sapiens. HS-LS1-2. From Molecules to Organisms: Structures and Processes – Develop and use a model to illustrate the hierarchical organization of interacting systems that provide specific functions within multicellular organisms. HS-LS2-2. Ecosystems: Interactions, Energy, and Dynamics – Use mathematical representations to support and revise explanations based on evidence about factors affecting biodiversity and populations in ecosystems of different scales. HS-LS2-7. Ecosystems: Interactions, Energy, and Dynamics – Design, evaluate, and refine a solution for reducing the impacts of human activities on the environment and biodiversity. 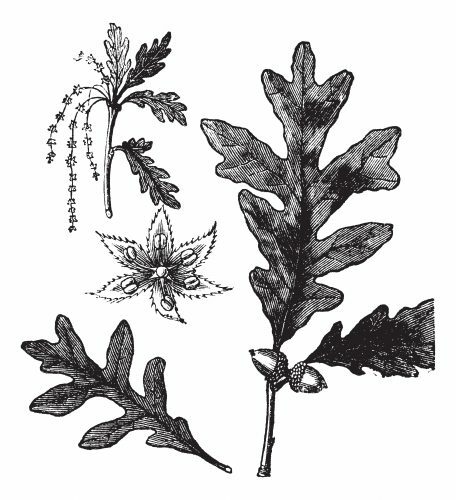 Engraved illustration of White Oak showing flowers (left), leaves and acorns (right). When it comes to naming a species, scientists follow the system originally proposed by Carl Linnaeus (1707 – 1778) whereby each organism is given a scientific name. This is known as binomial nomenclature. For example, the scientific name for a white oak tree is Quercus alba. This tree is in the family of Fagaceae, order of Fagales, and kingdom of plant. Or keep it simple by taking a walk near your school or home. Use a digital camera or smartphone to capture photos of Mother Nature. Here are 9 Tips for Taking Brilliant Nature Photos with your Smart Phone from the Student Conservation Association. This online guide by Discover Life can help identify your findings. All you have to do to get started is classify your findings as a plant, vertebrate, fungi, or insect. Try organizing your photos using the taxonomic classification system described above (and in Figure 1). Finally, be sure to take several photos of the area where your species were observed. Are you in the forest, near a stream or pond, in a meadow, on top of a hill or in a valley? These key observations can help you identify species later. 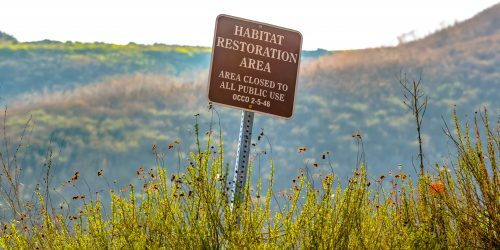 Have you heard of a career as a Habitat Restoration Engineer? Yes, it is a real job, and it involves repairing landscapes that have been damaged or otherwise altered and returning them to their natural state. To practice your skills as a Habitat Restoration Engineer, select your favorite animal that does not live in the ocean. Where does it live? What does it eat? Design a custom habitat that provides your animal with food, water, and shelter. Describe the characteristics of your habitat and how it functions to provide food, water, and shelter for your favorite animal. Population ecology is the study of how populations — of plants, animals, and other organisms — change over time and space. Have you ever thought about population growth rates of the wildlife seen outside your door, such as birds, butterflies, rabbits, or deer? Population change is often driven by the amount and distribution of life’s necessities: food, water, shelter, and space. While habitats change naturally over time, human activities can sometimes increase the rate of change. When a habitat changes, the living things in it also change. The population of one species may decrease while the population of another increases. As human population continues to grow worldwide, habitats for wildlife will also change. The current world population growth rate is 1.1% per year, and our current world population is 7.2 billion people. 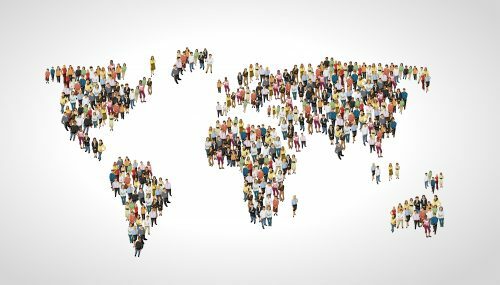 The population of the United States was 325.7 million people in 2017, and the population growth rate was 0.71%. Use the population growth equation to estimate the population of the United States 2 years from now, 5 years from now, and 10 years from now. What do you think will happen to wildlife populations as our population continues to grow?